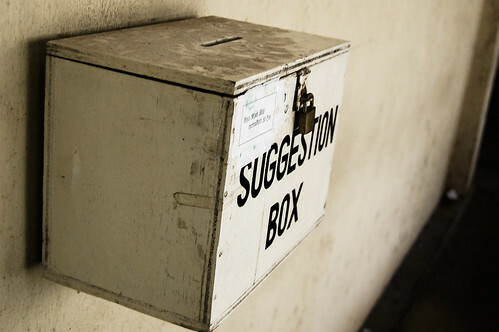 Photo: Suggestion box by hashmil, on Flickr. Some rights reserved. Every week that I worked there at least, there were +/- 18 suggestions made. Not a huge number, but it was a small cinema with a dedicated and loyal audience, so that was a pretty good number of responses. What wasn’t so great was what they were asking for. Of the 18 weekly suggestions, at least 12 would be asking for a special showing of Betty Blue. For those who haven’t seen it, Betty Blue – original title 37°2 le matin – is a slightly less than mainstream, slightly more than arthouse French film from 1986 about a woman in a relationship whose behaviour veers from playful to passionate to psychotic. It doesn’t hurt that the actress in the title role, Beatrice Dalle, is particularly easy on the eye and spends a lot of time wearing not very much. I first saw this film in 1987 (I was below the 18 certificate, but snuck in with older friends) and sat mortified through the first scene – a full five minutes of enthusiastic shagging. So it wasn’t a huge surprise when Betty Blue showed up in the suggestion box. She was much-loved by a particular age of male cinema-goer – they were the ones who had the soundtrack on CD and the poster on the wall, probably somewhere near the bed. What was problematic about it was that the manager of the 051 knew that he couldn’t get a print of that particular movie from the distributor. He knew because he’d tried. Repeatedly. So every week, the dozen suggestions for Betty Blue would go into the bin, and the other six suggestions would be sifted through on the off-chance there was something interesting there. “So what’s this got to do with social media and participation on content sites?” I bet you’re wondering. Good question. I was just getting to that. And then we waited for a week before opening it again. We figured that at the very least, this would save twelve bits of paper a week, as the Betty Blue suggesters wouldn’t bother requesting it again. When we opened the box, what do you think we found? ….thirty-one film suggestions, none of them for Betty Blue. And the pattern continued in the weeks to come. More requests and recommendations than ever before. Over the months that followed, no more Betty Blue; just constructive suggestions. 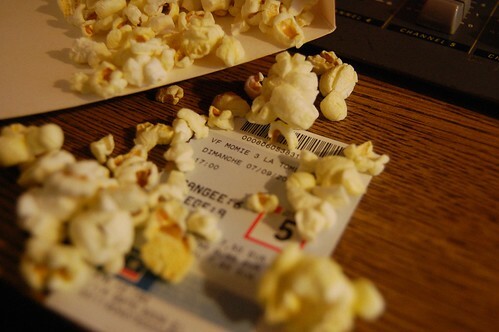 Some even provided reasons why they wanted particular films, above and beyond what we’d asked for. So what’s the moral of this experience? I learnt that sometimes being transparent – just demonstrating that you’re reading and trying – even when the results aren’t what everyone might want, can inspire people to contribute even more. Sometimes, asking isn’t enough. Creating the opportunity to participate isn’t enough. Sometimes you’ve got to set creative constraints, to help people to know how to participate, or how to ‘level up’. And sometimes, people can surprise you. So next time your community is struggling to participate, or not contributing in the way you might want them to, think about communicating with them more about what you’re looking for – ask questions, prompt debate, solicit specific experiences or ideas, and be more transparent with them about how the conversation is being managed, or how it might be used – instead of silently gnashing your teeth at the screen. Nice story and great analogy. There is an old adage that goes: When you do not find the answers that you are looking for, stop and think, maybe the problem is not in the answers, rather you are not asking the right questions. Really enjoyed reading this and it arrived in my inbox at a most appropriate time. Off to work on the inspiration, thanks! I wonder if you sold me my tickets for Ai No Korîda and Romper Stomper?